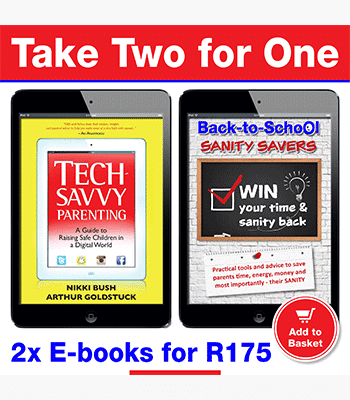 Tech Savvy Parenting eBook – get a handle on what’s happening in the digital space to ensure your children are safe and savvy in this fast-changing world. Back-to-School Sanity Savers eBook – will help prepare yourself and your family for going back-to-school. Back-to-School Sanity Savers eBook will help prepare yourself and your family for going back-to-school. This is for pre-primary and primary school parents to help you with every new beginning, whether it’s a new school year or a new term.